Periyapatna: Tribals are one of the most vulnerable groups in India and despite crores of money being spent on various Government policies and programmes, they remain the most excluded and live in miserable conditions. This is due to various factors such as geographical isolation, lack of political will, poor healthcare delivery systems, beliefs and customs. Exclusion from development has adversely affected tribal children. An amalgamation of factors such as socio-economic condition — poverty, high illiteracy, absence of safe drinking water, poor sanitary living conditions and lack of awareness — contributes to dismal health conditions among tribal populations. Like many tribals across the country who are living in abject poverty and pitiable conditions, Bokke Girijana Tribal Hamlet in Periyapatna, coming under Naviluru Gram Panchayat limits, are also leading a miserable life as they too are deprived of basic Government facilities. About 25 families live in this tiny tribal hamlet amidst thick forest, always facing a threat from wild animals, especially elephants that come in search of food and destroy their thatched huts. These Jenukuruba tribals eke out a living selling honey, bamboo products, gooseberry, soap nut, etc. While some make a living by selling forest produce, other tribals go in search of field and estate work in neighbouring Kodagu in order to take care of their families. Under community forestry, the Union Government’s Ministry of Tribal Welfare has issued title deeds for community forest resources. Girijana Tribals living in 190-hectare area located between Naviluru village’s Jameenu Dodda Harave Reserve Forest Area and Tibetan Naviluru village have been distributed title deeds. As per the deed, tribals get the right to use forest produce, burial grounds and temples. Periyapatna are preventing the tribals from free movement restricting them to their houses. But as it is a community title deed, the government has not issued individual title deeds. If individual title deeds are distributed, tribals can cultivate products that suit their needs. These tribals said that they have no documents to prove that they are individual title deed holders. Officers who had sanctioned loans to the tribals under community title deeds earlier are now demanding documents, they alleged. In the absence of individual title deeds, the tribals are restricted to only limited opportunities within the existing scheme of things without any scope for development and extension. Extension of land is not possible legally and the tribals have to manage whatever that has been given to them, said Ramegowda, Assistant Director, Periyapatna Taluk Social Welfare Department. Tribals living in areas including Karadibokke, Malaganakere, Hosurukere, Halekere, Maralukatte, Abbalathi A and B, Varthi, Uthenahalli, Ranigate have neither been issued community title deeds nor has the government provided any facilities. 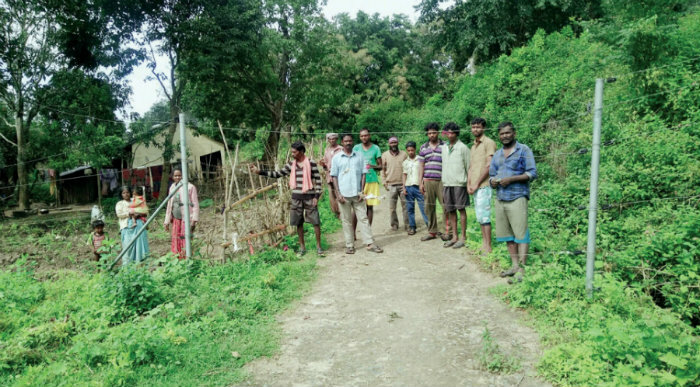 Some tribals have complained that the solar fence, erected to prevent wild animals from entering human habitat areas, has hindered their movement within the forest. Highlighting that there is no lighting facility in the hamlet, the tribals say that there are many instances where tribal children have fallen into the pits meant for installing solar fence and got injured. They also accuse Forest Department officials of placing unnecessary hurdles in order to restrict their movement. 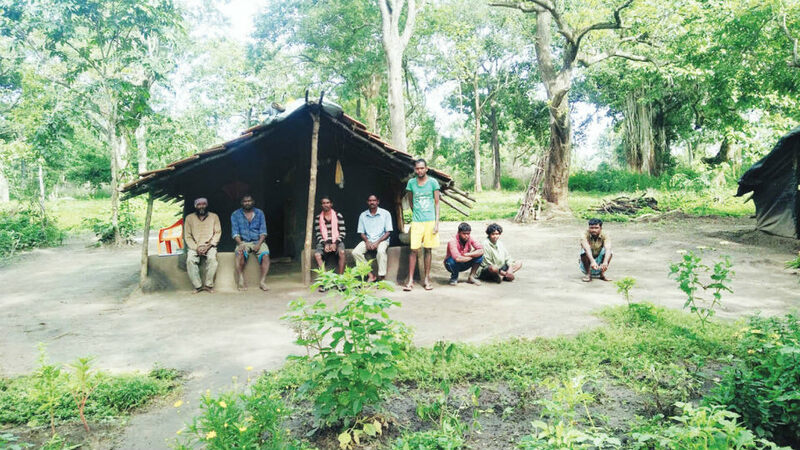 Alleging that the Forest Department officials were not allowing them to grow roots and fibres in their surroundings, the tribals also say that they are not satisfied with the ration provided by the government. The government does not distribute rations according to family strength but randomly gives 15 kgs of rice, dal, pulses, jaggery and eggs per family. If the family strength is big, the rations get over in 15 days, they said. Listing the problems faced by them, tribal leader Ramesh says that what the tribals need is individual title deeds more than community title deeds. Meanwhile, Particularly Vulnerable Tribal Groups (PVTGS) Member Madhukumar said that he will take a delegation to Chief Minister H.D. Kumaraswamy and apprise him of the issues that have been bothering the tribals. He will also demand the CM to take measures for issuing individual title deeds to tribals as it would help them largely.